What is TripAdvisor Instant Booking? Travel website TripAdvisor lists more than 8.1 million accommodations, airlines, experiences, and restaurants. And the site attracts an average of 490 million unique visitors every month. The amount of traffic TripAdvisor generates presents plenty of opportunities for businesses to convert casual browsers into actual guests. Case in point: TripAdvisor’s Instant Booking feature. The booking process is fully optimized for desktop, tablet and mobile platforms, in all global currencies. You’ll receive the bookings directly through your connectivity partner, pay commissions only for completed stays, and even gain access to exclusive data on your TripAdvisor Instant Booking performance. How Does TripAdvisor Instant Booking Work? 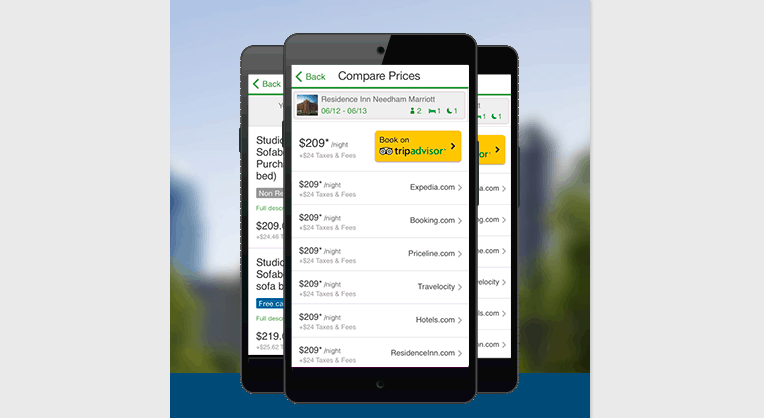 TripAdvisor Instant Booking brings instant booking to hotels by working with a number of certified connectivity partners. Once Instant Booking is enabled, TripAdvisor will add a “Book on TripAdvisor” button on your TripAdvisor listing. Instant Booking won’t take over your original booking system or process, though. You still own the traveler profile. And you can still collect deposit payments. You just have to pay TripAdvisor for bookings that come through Instant Booking. TripAdvisor Instant Booking is great particularly if you have strong reviews and high ratings on the travel website. To improve booking performance, follow best practices like: responding to TripAdvisor reviews, updating your listing with photos, and encouraging happy guests to share their reviews on TripAdvisor. How much does it cost to enable TripAdvisor Instant Booking? TripAdvisor Instant Booking is based on a “pay for stays” commission model. This means that you will only pay TripAdvisor for bookings that turn into stays. There is no upfront investment and no long-term commitment required to sign up. Each month, you’ll pay commissions for the instant bookings completed in the previous month. Again, you only pay for completed stays. If a traveler reserves a room via TripAdvisor Instant Booking, but eventually cancels, you will not pay for that booking. Once you have enabled TripAdvisor Instant Booking, you will receive a monthly statement via email on the 5th of each month. It lists the bookings completed during the prior month according to TripAdvisor records. The monthly statement allows you to confirm that all of the transactions shown for the prior month were, in fact, completed stays. Beginning on the 5th day of each month, you have a 15-day adjustment period to check the list and make any adjustments (early check-outs, no shows or cancellations). If you represent a hotel or accommodation that’s listed on TripAdvisor, you may check your TripAdvisor Instant Booking eligibility by visiting this page. It will check if you are already working with one of TripAdvisor’s certified connectivity partners. If you are already working with one of the certified partners, the partner will then work with TripAdvisor to provide your accommodation’s rates and availability. You have to verify that the information (rates and availability) that TripAdvisor is receiving from your connectivity partner is correct. Also be sure to confirm your property’s name, address, and website, as well as your cancellation policy. A traveler view occurs each time “Book on TripAdvisor” appears for your property in search results. When a traveler enters search dates for their trip, “Book on TripAdvisor” appears with rates and availability on your property page, as well as on the search results page for your location. When a traveler sees “Book on TripAdvisor,” that functionality may be powered either by you or by one of your distribution partners. Sometimes travelers will be viewing your rates; other times, they will be seeing your distribution partners’ rates. You can choose a 15 percent commission rate. This allows you to capture half of all “Book on TripAdvisor” traveler views (and the bookings that those views generate). Or you can choose a 12 percent commission rate. This allows you to capture a quarter of all “Book on TripAdvisor” traveler views (and the bookings that those views generate). For example, if “Book on TripAdvisor” is displayed 200 times for your property, and you’ve signed up at a 15 percent commission, your rates and availability will show at least 100 times out of the 100. At the 12 percent commission, your rates and availability will show at least 50 times. To be able to pay commissions to TripAdvisor, you must add a payment method. You can also confirm that one on file (in your TripAdvisor Management Center) is correct. TripAdvisor will invoice you on a monthly basis. I am curious as to whether this opinion has changed since Tripadvisor completely changed the layout of tours / activities listings in Jan. I own a tour company which is also listed on Viator. Up until the start of January I was getting a decent number of Viator bookings but also a good number of direct bookings (several of which came from TripAdvisor). However, since TripAdvisor launched the new layout while my overall booking have gone up my direct bookings have gone down significantly and am now giving Viator huge commissions (at the expense of my profitability)! With the new layout the link to a company website is not so obvious and I am wondering if would be equally suicidal to not be on Viator and not have the book now button! How did you remove the button? I’m so busy running the business I didn’t see how Viator took over my Tripadvisor page. You’re right – bookings may be up but so are my commissions. We’re already well liked. I want them to book direct when they find me (and my hard work) on my Tripadvisor page. Any advice is appreciated. There is no readily apparent option for removing it through my Viator account or Tripadvisor.